The Altius String Quartet took the Silver Medal at the 2014 Fischoff Chamber Music competition. 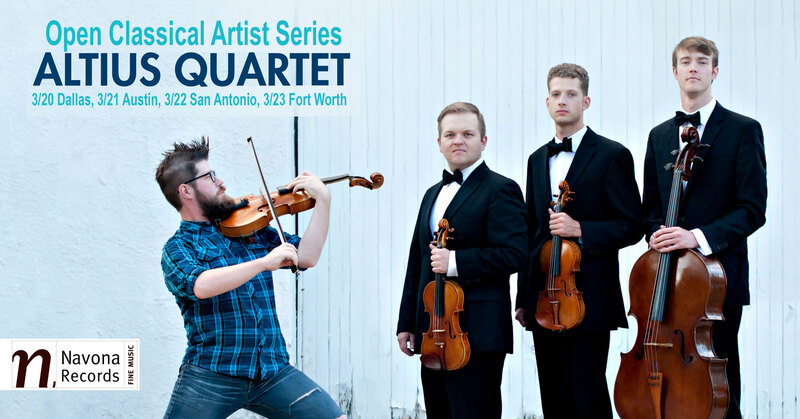 They have recently released 2 CDs on the Navona Records classical label, one CD of Shostakovich Quartets, and the other which features their fun, pop cover song arrangements that they are well known for, interspersed with a string quartet from Joseph Haydn. They are exceptional communicators in concert, mixing humor and high art in a very appealing way for audiences of all levels of classical sophistication.